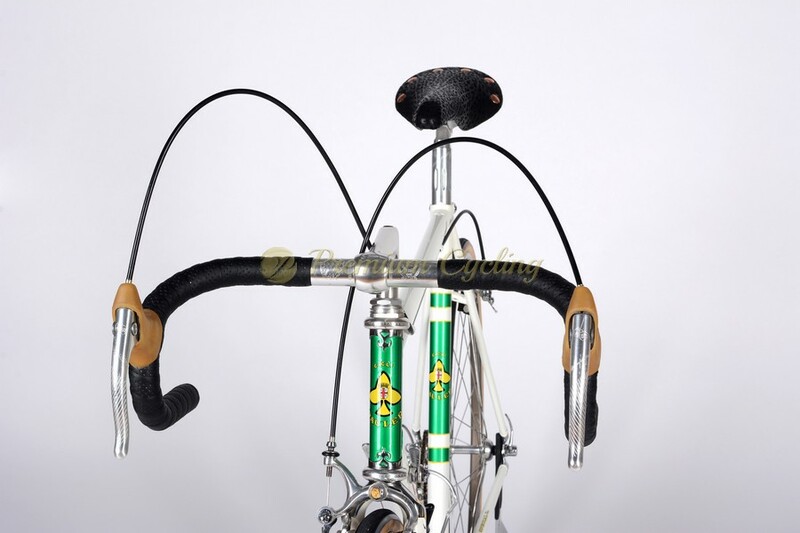 Rauler started in 1968, when company founder and craftsman Raul Gozzi worked for several months with Ernesto Colnago, because of his skills regards to the fine details of the lugs and frame welding. Raul was so good that, Ernesto enlisted him as a head engineer of Colnago’s Arabesque lugs design and welding custom steel pro-team framesets in the 1970s and 80s. 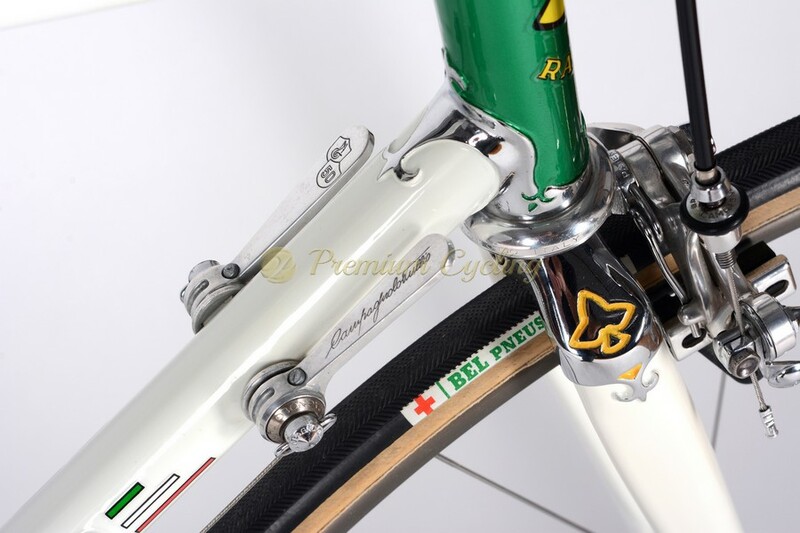 The RAUL stands for Mr. Gozzi’s first name, while ER infact is standing for Ernesto Colnago’s first name. And so RAULER was born. Between the many victories achieved, deserves mention the gold medal in 100km team time trial at the 1984 Olympic Games in Los Angeles (USA). Their bikes are really well built pieces of classic Italian craftsmanship. With over forty years of welding and design expertise, Rauler still offers custom steel frame sets made in Reggio Emilia. Extremelly proud to present one the most special bikes in Premium Cycling store. 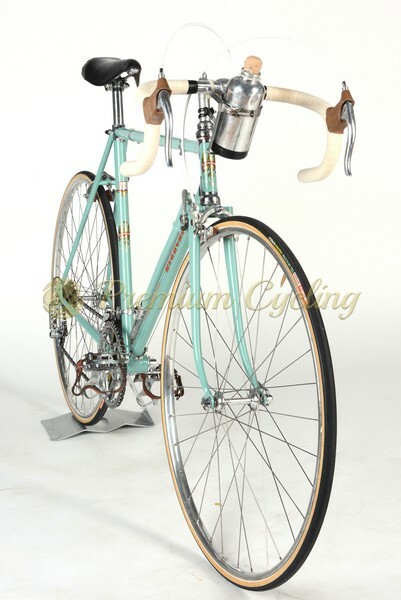 Anniversary Rauler Special frameset, made of Columbus tubing, welded with special lugs and extraordinary Campagnolo 50th Anniversary complete groupset from 1983 with 24k gold plated parts (No 2564). 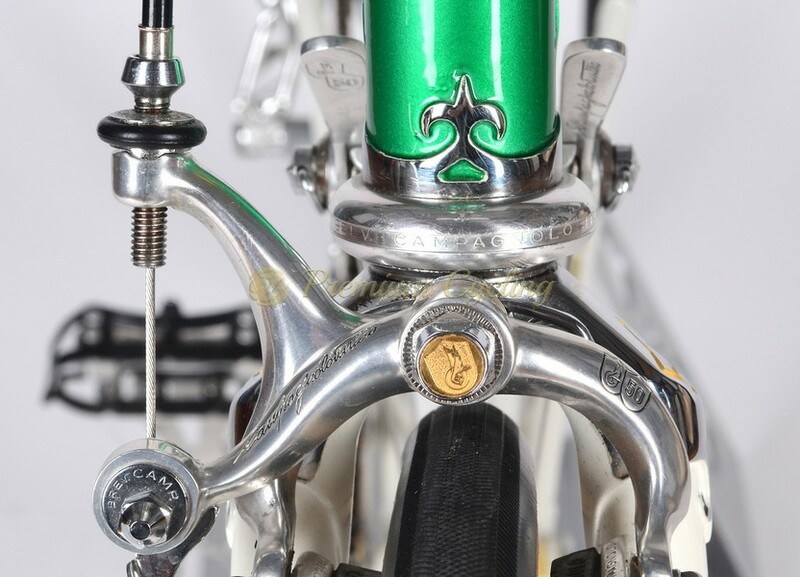 The combination of white/green/gold frame paint, headtube lugs, iconic groupset, steering set and dropout details is just amazing, so the one can easily spend an hour just looking at these special details. Extremely rare! A real jewel. Condition: Bike is in very good condition. The frame has no dents, no cracks and is not bent and has no touchups. Groupset has a very few signs of normal use, bike was ridden for 1000km. All parts are working fine.